Eagle Bear: A Native American Pacific NW Artist with Original work based on Old Stories and Songs that will soon be made available as Story/Song CDs & DVD's. 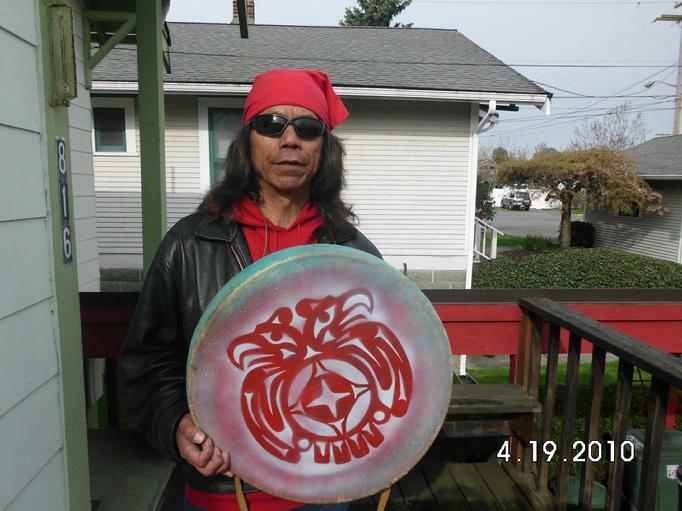 Eagle Bear and his beautiful art in beads and drums, songs and native stories! See Eagle Bear tell his stories with drum and song.